The 2016 Honda CR-V comes loaded with family-friendly features and one of the most efficient engines in its class, so it’s a much better crossover for Goshen and Monroe drivers than the 2016 Toyota RAV4. With more power yet stronger efficiency ratings and more passenger space yet up to 70.9 cubic feet for your cargo, the CR-V thoroughly bests the RAV4. The 2016 Honda CR-V has ben designed to appeal to a vast range of Goshen and Monroe drivers, so you’ll find five balanced trim levels to choose from when you come down to Middletown Honda. LX: The entry-level model provides premium technology as standard, including a multi-angle rearview camera with guidelines, Bluetooth HandsFreeLink system with streaming audio, an SMS texting function, and Pandora compatibility. SE: The SE trim is all-new for this year, and enhances the styling of the standard LX with 17-inch alloy wheels and rear privacy glass. It also provides a cutting-edge security system to keep your CR-V safe. EX: The EX offers a stunning array of high end features, including a 7-inch touchscreen, heated front seats, a one-touch power moonroof, a 10-way power driver’s seat, and a Smart Entry system with push button start function. EX-L: The EX-L is all about comfort, indulging Goshen and Monroe drivers with leather-trimmed seats, a leather-wrapped steering wheel, and dual-zone automatic climate control as standard. Touring: The Touring trim provides a handy power liftgate and Honda satellite navigation system, plus all the driver assistance technologies of the Honda Sensing safety package. 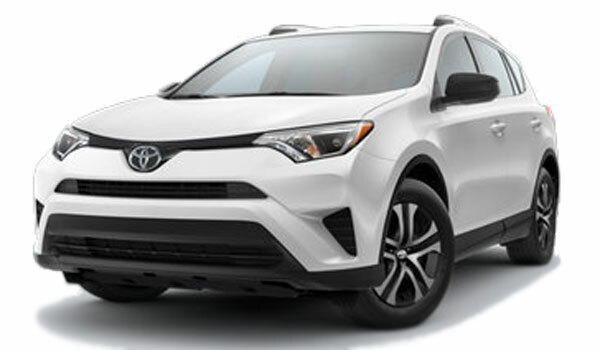 In contrast, the 2016 Toyota RAV4 is available in only four trim levels. The entry-level LE falls behind the CR-V by offering only basic equipment, such as a standard rearview camera and a six-speaker sound system. Models then work their way up through the XLE and SE to the Limited, which provides a 7-inch touchscreen, just like a mid-range CR-V, and an auto-dimming rearview mirror. CR-V Power: A 2.4L four-cylinder engine makes up to an impressive 185 hp and 181 lb-ft of torque for smooth acceleration and steady cruising, all while a continuously variable transmission (CVT), standard across all trim levels, achieves up to 26 mpg in the city and 33 mpg on the highway* with FWD. RAV4 Power: Toyota’s 2.5L four-cylinder delivers just 176 hp and 172 lb-ft of torque, yet, with mileage ratings at a lackluster 23 mpg in the city and 30 on the highway, it still manages to be less efficient than the CR-V. The 2016 Honda CR-V boasts 104.1 cubic feet of passenger space to the 2016 Toyota RAV4’s 101.9, so it feels noticeably more open and inviting, especially when you’re carrying the whole family.At Middletown Honda, we understand that space is something that Goshen and Monroe drivers prioritize whenever they’re looking for a new crossover, so we were thrilled to see that the CR-V offered plenty; there’s even up to 70.9 cubic feet of cargo space, plus a low load floor to allow for the effortless loading and carrying of larger, bulkier items. The 2016 Honda CR-V isn’t just more spacious than the 2016 Toyota RAV4 – it also boasts a more compelling list of standard and available features. Honda has always pushed the boat out when it comes to onboard technology, and the CR-V has lived up to their reputation by offering the following features as standard. Multi-Angle Rearview Camera with Guidelines: The RAV4’s conventional rearview camera can’t compete with the CR-V’s, which provides three viewing modes (Normal, Wide, and Top-down), plus guidelines to help you maneuver into tighter spaces. HondaLink Next Generation: This is a Honda-Exclusive feature that is naturally missing from the RAV4. Use it to sync your smartphone right to the CR-V’s available 7-inch touchscreen, then use a select number of apps. Honda LaneWatch: Another Honda-Exclusive, the LaneWatch feature uses a small camera beneath your passenger-side mirror to provide a live-feed of the traditional blind-spot area whenever you signal in that direction. Both the 2016 Honda CR-V and the 2016 Toyota RAV4 come with a strong selection of standard features, plus a range of driver assistance technologies with either the Honda Sensing package or Toyota Safety Sense system. However, the CR-V has managed to edge out the RAV4 when it comes to crash scores, achieving a 5-star rating in the NHTSA’s tricky frontal crash simulation; the RAV4 only received 4-stars. 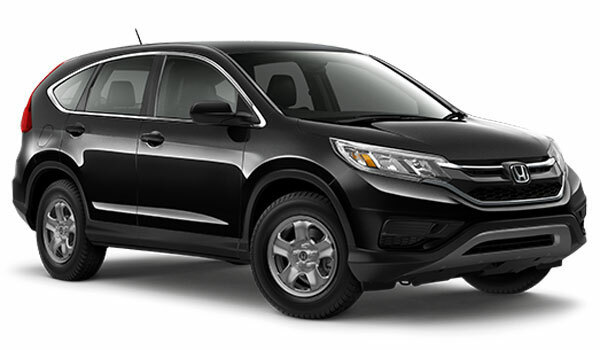 The CR-V offers improved performance while using less fuel, plus stronger standard features, more room for passengers, and more comforting safety ratings than the RAV4. To find your ideal crossover, just come down to Middletown Honda today or call us on (855) 473-3053 for more information. We hope to see you soon!